I had heard rave reviews about this series for ages, so when the first book, City of Bones, came up as a $.99 e-book special I picked it up with little thought as to when or if I would actually read it. As is the case with many such additions to my library when I did finally find myself in the mood and position to read this story I was surprised, and luckily for me it was a pleasant surprise. 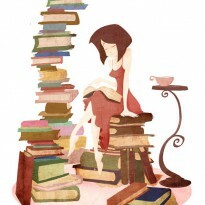 It turned out to be a very well written book that cycled through so many different archetypes that I lost track of just which books and movies ran through my head that it “felt like” and accepted the fact that Ms. Clare had managed to weave them together to create something both new and unexpected. I truly enjoyed reading this book, and while at times it did give the larger-than-life vibe that almost reached epic fantasy level, it managed to stay just grounded enough in the urban part of urban fantasy to tell a single story. 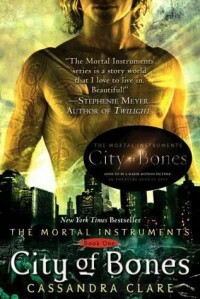 That story took many twists and turns (including a loo-loo of a twist in the last quarter than I certainly did not see coming) and certainly did not reach its completion by the end of this first volume in the Mortal Instruments series but somehow remained both fresh and intriguing throughout. If you had asked me at the two-thirds mark or even the three-fourths if I intended to pick up the next book in this series I would have answered with an unequivocal “yes.” The story was fascinating, the characters relatable and the writing just shy of the overblown mark but well into the florid that those of us enraptured with words love so dearly—and then the ending to this story took place and I find myself unsure. Not of the writing or the story or even of the choices the author made with her characters or plot—which while they surprised me I cannot honestly say I disagree with—but more because I know that if I continue with reading this series I will be opening myself up to more surprises. Surprises which, in the middle of a so manifestly over-arching series story-line are rarely good and with a year to wait for a conclusion of this series to be published…well I’m not sure I want to subject myself to the immersive tension only to have to wait so long for its release. I find myself unsure whether, without the assurance of an attainable wrap-up, this is a roller-coaster I want to strap myself into right now. And so as a review I can only give this…this story sucked me in so deeply that I half fear another trip down the rabbit hole, knowing I will not come out the other end quite the same was as I went in. Make of that what you will. In an attempt to quantify my own uncertainty I give this book four stars for both the journey I loved and the destination I am unsure of.